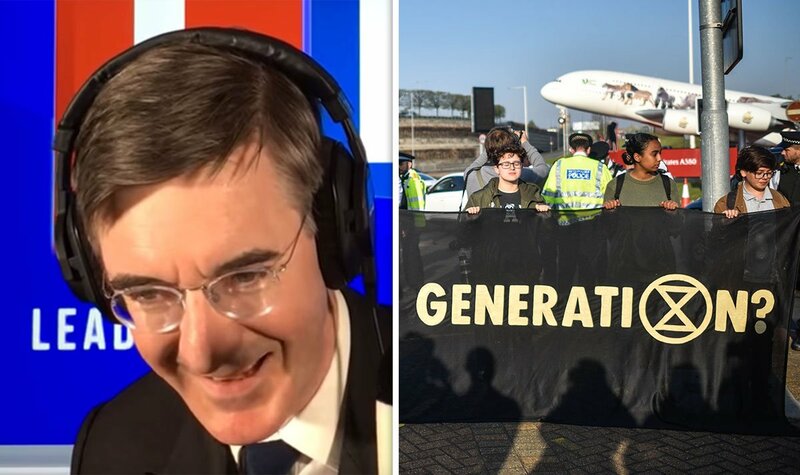 Jacob Rees-Mogg went head-to-head with an Extinction Rebellion spokesperson and told him that he hoped the Government wouldn't give in to the group's demands. Jacob Rees-Mogg went head-to-head with the Extinction Rebellion spokesperson and told him that he hoped the Government wouldn't give in to the group's demands. is there a more instantly infuriating sequence of words than "we'll speak to Jacob Rees-Mogg in a moment"? Brexit has always been about creating a cognitive dissonance so that working people don’t ask why suddenly Jacob Rees-Mogg is their comrade. It's interesting the Brexit Party positions itself as the voice of ordinary people, but at least four of its six MEP candidates went to hugely posh private schools: Farage (Dulwich); Ben Habib (Rigby); Annunziata Rees-Mogg (Godolphin & Latymer; Richard Tice (Uppingham). A fruit & veg importer tells me the Calais delays are now ‘nibbling’ at fresh food supplies. Some goods arriving perished, so some lorries being sent back without being unloaded. He wonders where the news coverage is. Meanwhile, here’s Bridgen/Rees Mogg/Davis wanging away on TV. My late dad grew up above a rough Leeds pub, left school at 15 & worked his way from the Shipley Times to the Daily Telegraph. 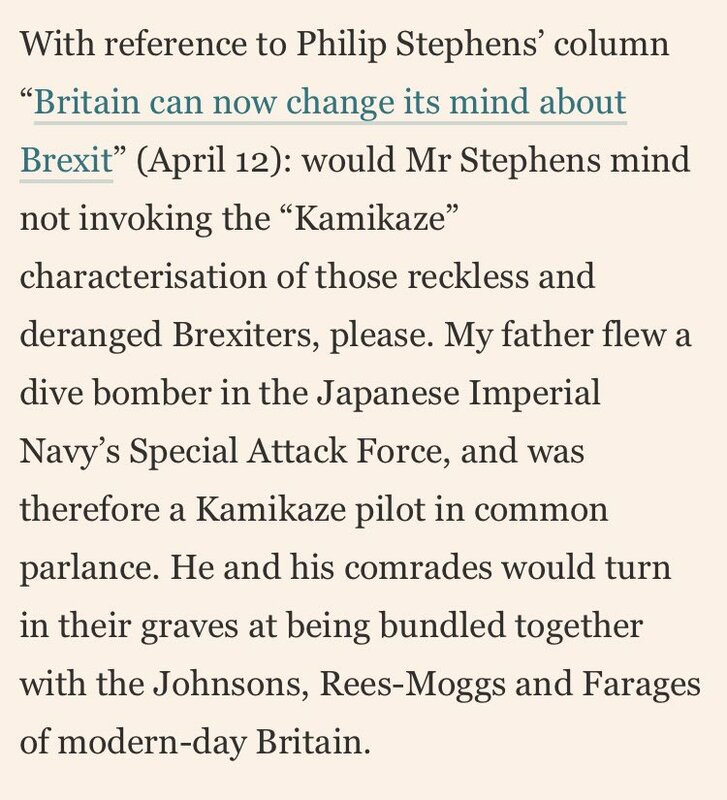 I suspect he sent me to public school partly so I could call out the likes of Johnson & Rees Mogg in their own language. Miss him more than ever tonight.